BALENCIAGA PEWTER FIRST | Beverly's Net: family. food. fashion. 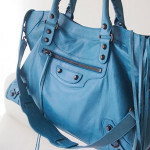 BALENCIAGA PEWTER FIRST – Beverly's Net: family. food. fashion. Ooh the Pewter First is pretty! do they have the bags in rich purple?? i think it’ll go well with you too! you sooo need a bright color. not a boring black!! oh the pewter is cute! i have a chloe paddington in silver argent…looks like the same colour..buttery soft goodness! YES it’s almost identical in colour to the Chloe silver agent 🙂 It’s super versatile, love how you can wear it with almost anything! I think Chris is right, I can’t imagine you with a black bag! I’m lemming a First at the moment..absolutely no idea where to start on colour choices! How much do those bags cost usually? I am not a brand bag buyer, so I don’t know about these things! They vary so anything from $1,000 – $2,000! You got a pretty good price on your bags! And the pewter looks gorgeous… like semi gold or smth. that rouge vif city is AMAZING!!!!!!!!!!!!!!!!!!!!!!!!!! Heheh well alllll gone now, I’ve shipped it off! the pewter first is gorgeous! I would get it for sure, if only I could find one! Hey Bev, let me know if you’re selling the Pewter First. Looks gorgeous and i’ll give you a decent offer. Promise! Ooh, drool worthy bags indeed! What is your e-bay id so I can look at the clothes your selling? Your taste is indeed fab!